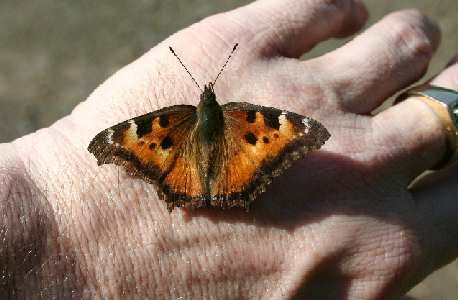 Found a group of these at Little River Road east of Roseburg. 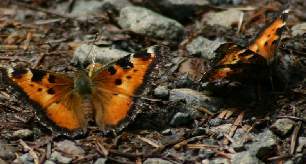 They were fluttering their wings and just walking around on the ground. my shadow and saw movement coming from the back of my shoulder. 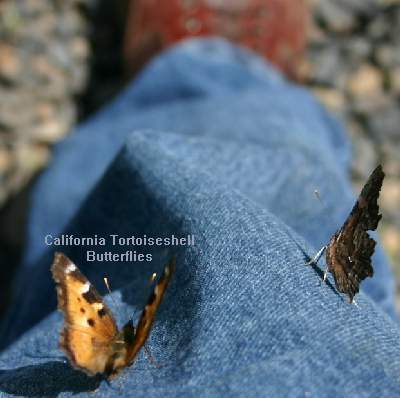 The black splash pattern on the upper part of the wings is similar to a Compton Tortoiseshell.